The temperature may have been in the 90s, but for Father Douglas Marcotte it seemed like Christmas in August. He is referring to a special Mass celebrated at his church on Aug. 13 for any New Albany Deanery youth attending the upcoming National Catholic Youth Conference (NCYC) in Indianapolis in November. Their parents were also invited. Following the Mass was a breakfast hosted by Knights of Columbus Council 1348. The menu included an unusual, special treat for the 136 youths—$100 for each of them to help cover their costs to attend NCYC. 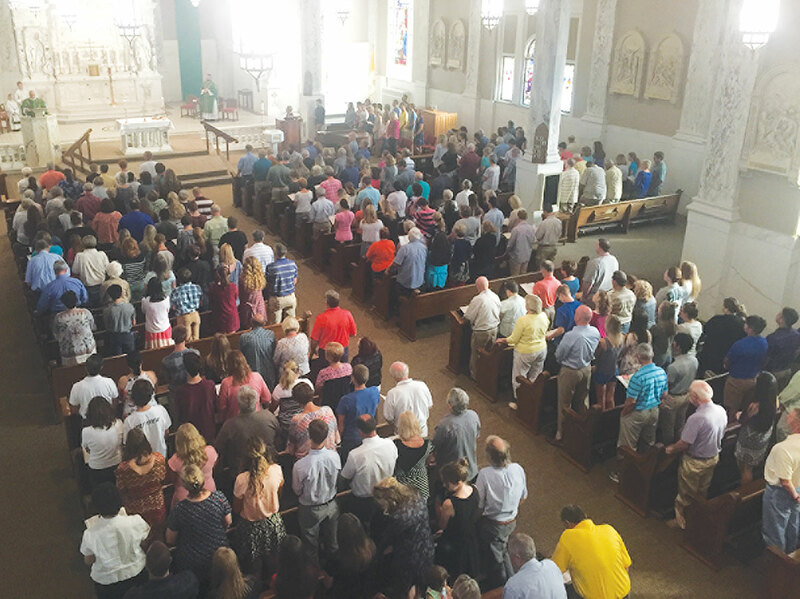 The council approved $9,000 to be distributed evenly among any NCYC-bound youth who attended the Mass and breakfast. “But if we had 200, people we would have given $20,000,” notes Lilly. Lilly attributes the council’s ability to be generous to the Thursday and Sunday bingo nights they host. And by helping teens attend NCYC, Lilly says he feels like they’re both giving back and investing in the future. Lilly is not alone in his praise for the biannual gathering. His 33-year‑old nephew, Ben Kraft, spoke at the breakfast about the impact NCYC had on him and his brother. 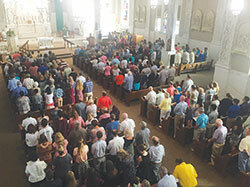 Holy Family Parish in New Albany had the largest turnout, with 31 youths and their parents participating in the Mass and breakfast. Sara Raelson, youth minister of the parish for the past five years, says she felt “humbled” by the generosity of the Knights. Raleson says the $100 per youth can affect whether or not a person is able to attend NCYC. “We have a cost of about $550 per kid,” she explains. “They have to do fundraising. If they don’t reach that total, they won’t be able to go.